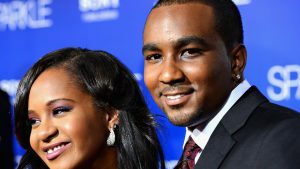 Nick Gordon shared some intimate pictures on Twitter of the late Bobbi Kristina Brown. This happens after the 2-year anniversary of her 2015 hospitalization. The pictures showed Brown smiling and the two kissing with her engagement ring on display. Gordon who still misses Brown said that she was the first thing he thinks about when he wakes and the last thing he thinks about before he sleeps. Brown was found unresponsive on Jan. 31, 2015, in her bathtub. The daughter of the late Whitney Houston was then rushed to the North Fulton Hospital in Roswell, Georgia. She was then put into a medically induced coma at Atlanta’s Emory University Hospital. However, the 22-year-old was not able to regain consciousness and died six months later at Peachtree Christian Hospice in Duluth, Georgia. The case ended in November when Gordon was ordered by the court to pay $36 million in the wrongful death suit. Brown’s father Bobby Brown said that he was very pleased with the outcome.